I step out into a crisp Alaskan breeze that plays with my hair and a sweater loosely tied around my waist. A creaky screen door slams behind me, and I look down a quaint and quiet Anchorage street. Having arrived in the dark the evening before, I can finally see my surroundings. Our Couchsurfing hosts are still asleep, so my adventure buddy Doug and I leave a note on the kitchen table and start packing the car — it’s my first time in Alaska, and I’m anxious to start exploring. 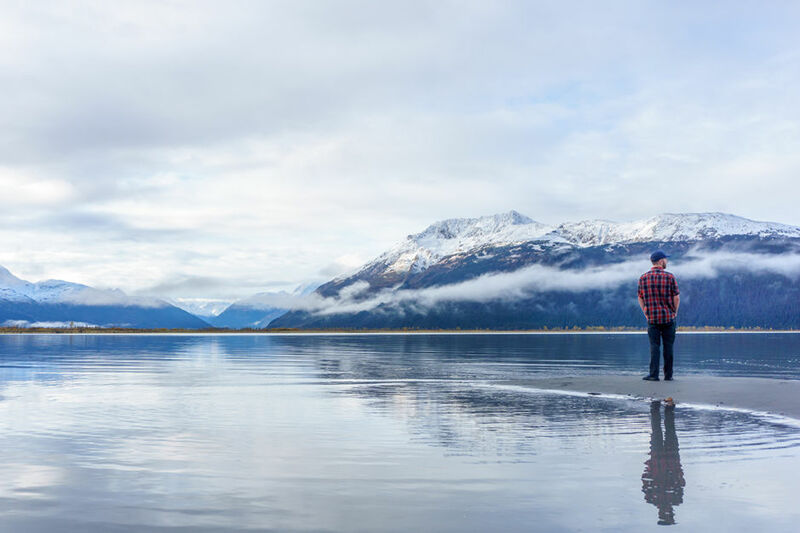 There’s no way a week can cover a fraction of what we want to see in Alaska, so we gathered a few suggestions, and decide to start exploring the Turnagain Arm. We watch as chilly water laps the shore at our first stop along the Turnagain Arm, Beluga Point Lookout. 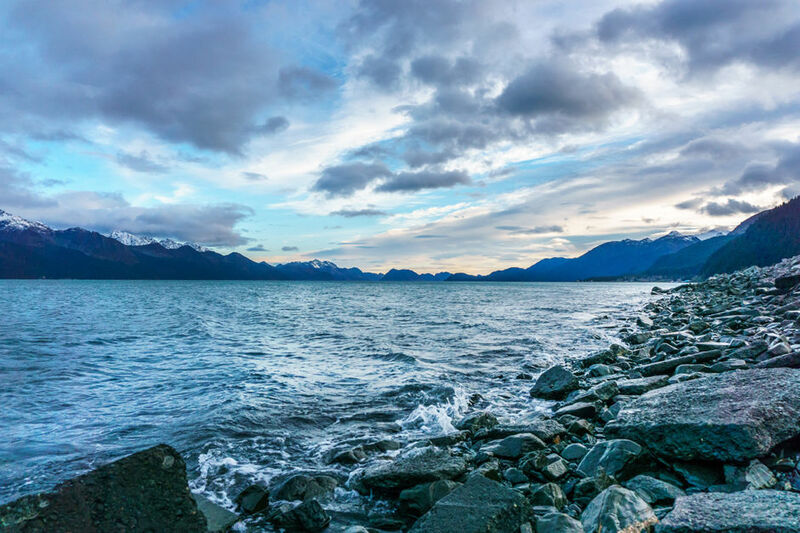 Panoramic views - and being right off the Seward Highway - make this a perfect place to watch the well-known bore tide rush in, as well as the chance to glimpse its namesake aquatic creatures, the beluga whales. We watch out the window as mountains seemingly emerge from the still surface of the Turnagain Arm. We make our way down to the shore of one of the tiny pull-offs speckled along the highway, and we practically forget about the cars passing along the nearby highway as local fishermen take a break from their rusty lawn chairs and we breathe in the fresh air. With the exception of a dim string of lights flanking its ceiling, darkness is absolute at the Anton Anderson Memorial Tunnel. 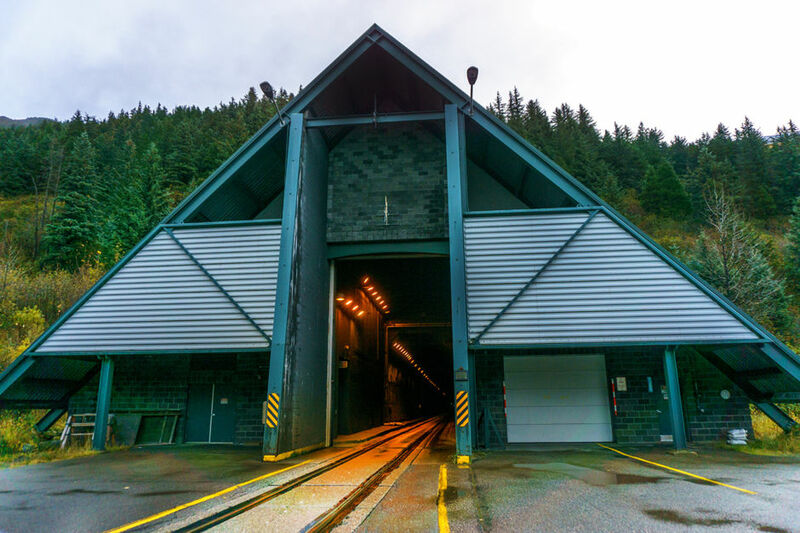 At 2.5 miles, it is both the longest highway tunnel in North America and the only vehicular path to Whittier, besides a boat ride. 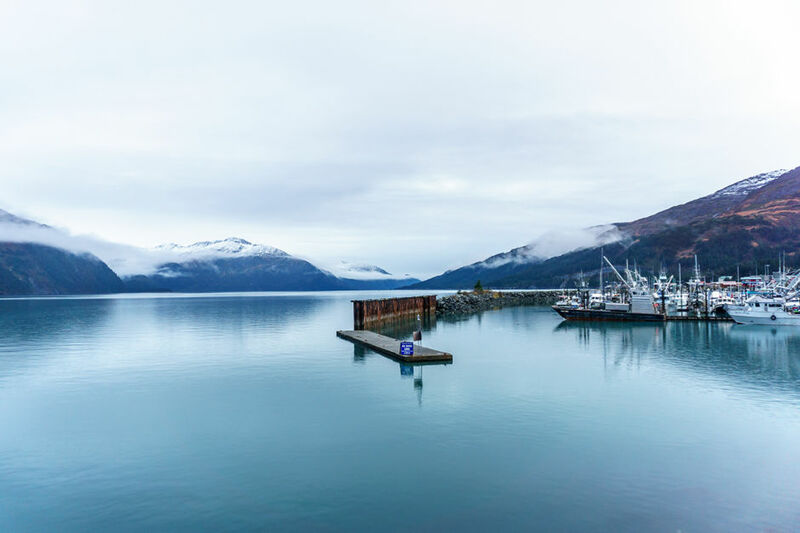 We stop in town to grab some supplies and take in the views of Prince William Sound before heading to our hike. Whittier Harbor nurses the sound of distant boats bobbing gently in the water as we walk along the water's edge and watch the clouds slowly engulf the surrounding mountaintops. 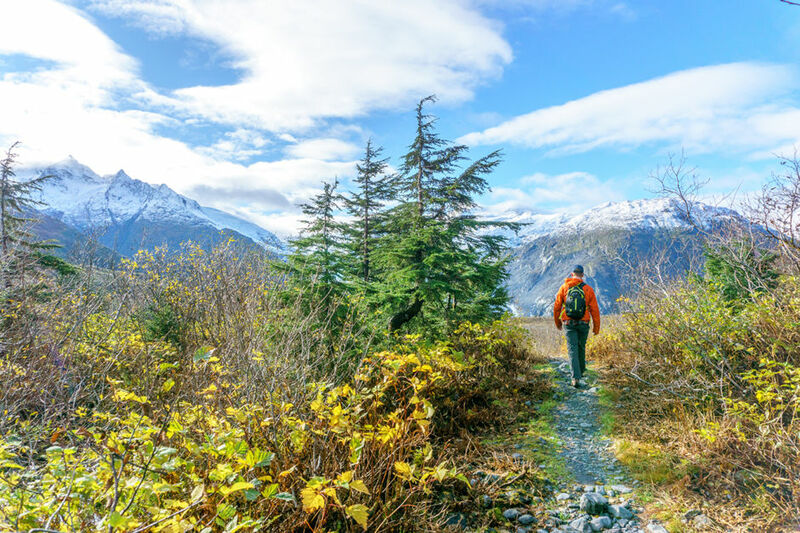 Starting just outside of town, the Portage Pass Trail leads visitors to the incredible Portage Glacier. 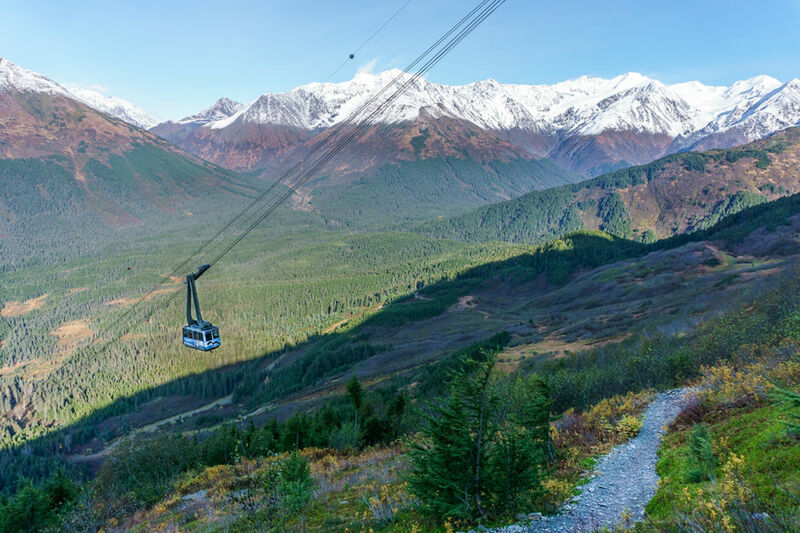 Originally used by Alaskan natives, fur traders, and early settlers, the pass leads you steeply uphill before granting the view of the massive glacier standing below. 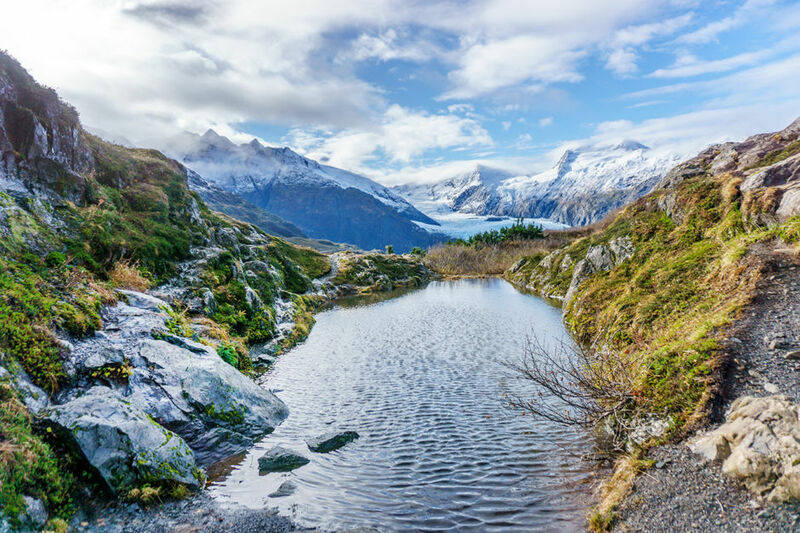 Although it varies based on your exploration distance along Portage Lake, the trail typically clocks a little over 4 miles and is often rated as moderate to strenuous based on the pass's "uphill both ways" nature. I watch as Doug makes his way down the other side of the steep pass towards the Portage Glacier, glancing behind me to see what we’ll have to ascend to return to our car. 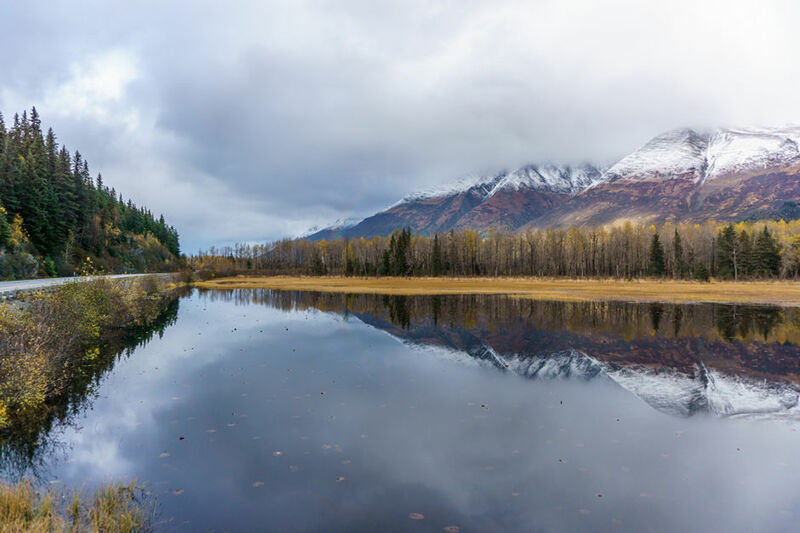 The Turnagain Arm is filled with endless hikes leading visitors to overlooks with panoramic views of peaks and lakes. 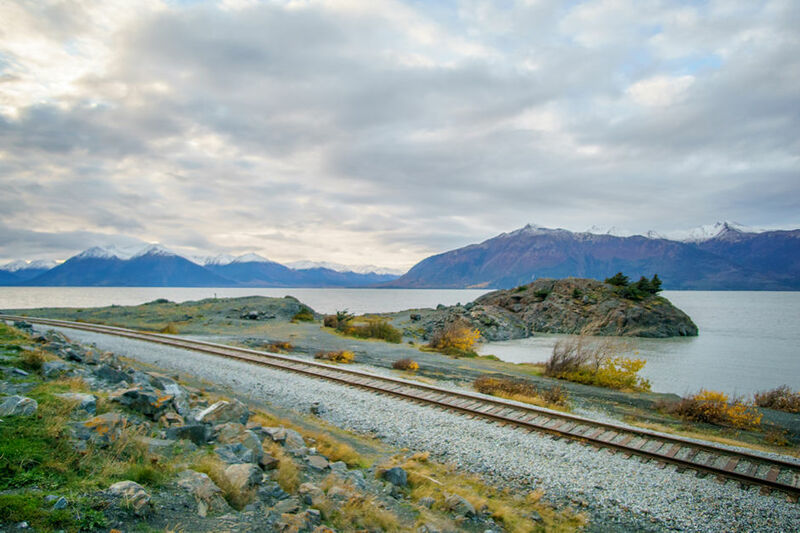 We cruise away from the Turnagain Arm on a quick detour trip to Seward. 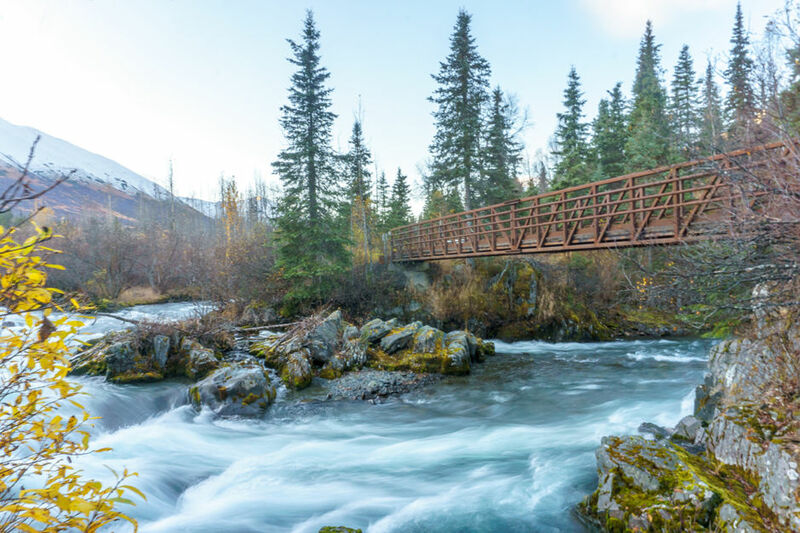 A stillness in the air calls us to a small pull-off where we stretch our legs and lose ourselves in Alaska’s views. With a booming fishery port and a growing tourism industry, the streets were more crowded than we had expected. 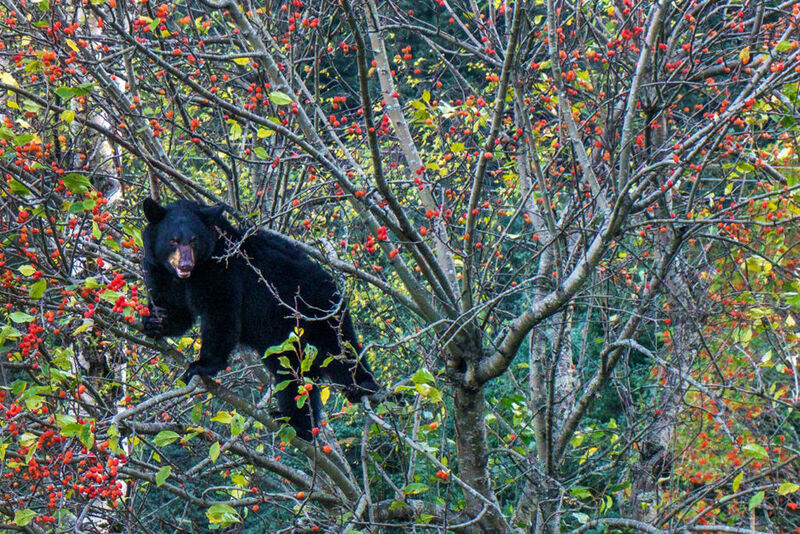 Even a nearby patch of small trees was occupied by a fuzzy black bear eating his lunch. It’s important to remember that although it may be tempting, you must not approach or feed wildlife, for their sake and yours. We sat along the broken shore of Resurrection Bay, watching as the last light of day disappeared. The clouds passed over us softly as we watched the world becomes quieter. We booked this small cabin to spend the night on our way back to Anchorage. A cabin that would soon be filled with the smell of food and hot chocolate, and where we’d lay heavy heads on stiff pillows and fall asleep bundled in sleeping bags as the wood stove kept out the cold. 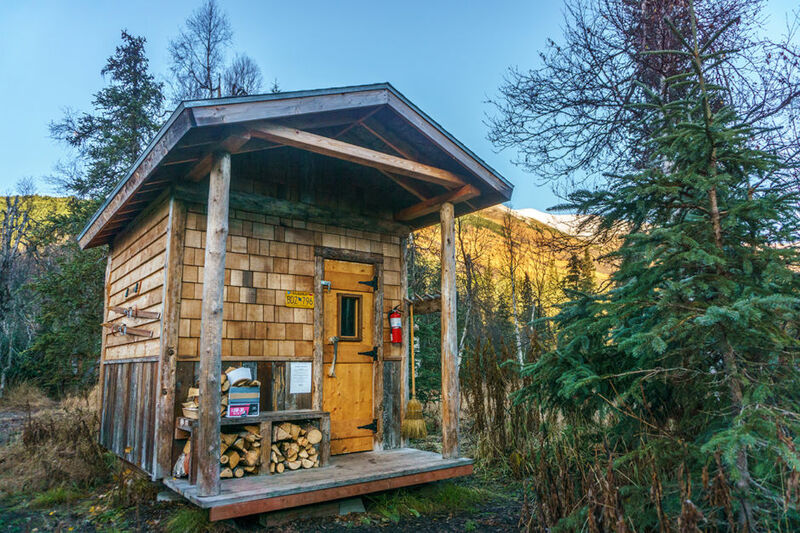 A tiny sauna (above) welcomes visitors in to warm up after a day of adventuring. Early morning light trickles through the frosty windows of the cabin. Doug hands me a hot thermos of apple cider as I slip on moccasins and pad down a dirt path to the nearby rivers shore. Not ready to leave quite yet, I make myself comfortable against a mossy rock and watch as the world slowly wakes.